"The Ultimate French Quarter Party"
2020 Schedule will Be Coming Soon! In the meantime, look back on 2019's festivities below! "HOUSE OF THE RISING SUN"
TROP ROCK LIP SYNC BATTLE! 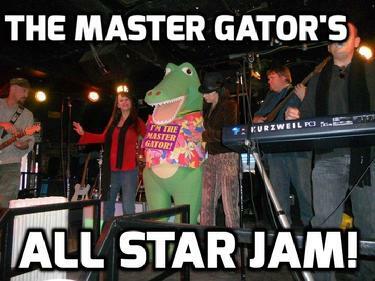 THE MASTER GATOR'S ALL STAR JAM! 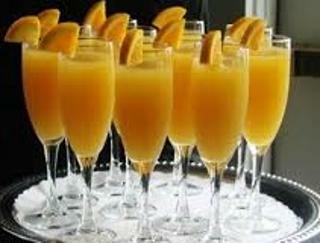 Kick off the weekend early, with an outstanding sampling opportunity! Margaritaville Foods provides the food, and The Orleans Grapevine provides the laid back setting for this perfect afternoon. 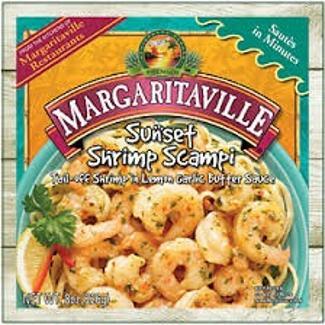 Margaritaville Foods is the division of the company that produces and markets the take home goodies that you find in your local grocery store. They will have several items here for sampling, and it is delicious! We'll also have live music in the courtyard, and in case you were wondering, the bar at the Grapevine WILL be open! 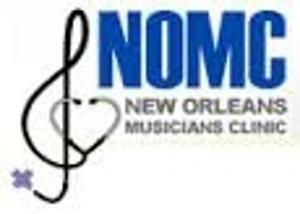 Jon Boy and Dammit Earl host this fun, interactive show, featuring live performances and interviews from several of this year’s Pardi-Gras artists. They'll also offer their "Pirates and Poets" take on things in general . Come one, come all, as we get the party started in a big way! 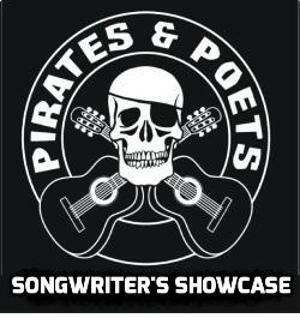 The "Emerging Artists" showcase is where we feature some up and coming talent that you may not have seen or heard yet. Pay attention though, because they are folks that we think might be coming to a venue or event near you in the future. 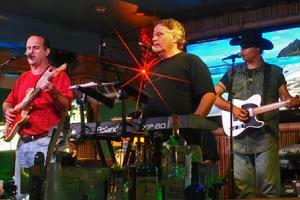 They may be new to you, but some have just discovered the Trop Rock world. Please give them a big Pardi-Gras welcome! This is when and where you check in, and pick up your t-shirts, badges, and event guides. This is also where you can take a look at the carefully selected Live Auction items that we will be featuring at Saturday afternoon's Street Party. The St. Joseph Room is located inside the Bourbon Orleans Hotel, downstairs, on the Bourbon Street side of the hotel. Get your scorecard when you register. Scorecards are $10 each. Crowning of the Pardi-Gras King and Queen! Every year, Pardi-Gras crowns a King and Queen to preside over the weekend's activities. It is a secret known only to the Pardi-Gras Krewe, and is revealed at this ceremony on Thursday night. The current King and Queen are Bill and Trina Geer (pictured to the right). The King and Queen preside over all activities at Pardi-Gras! 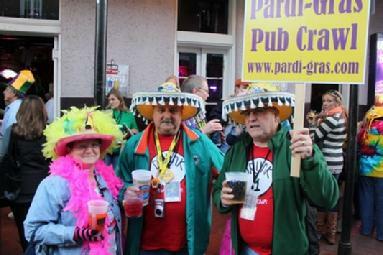 Pardi-Gras Bourbon Street Pub Crawl! This "event within the event" absolutely captures the spirit of Pardi-Gras. We've been doing this since 1997, when a handful of us started a 4 hour Pub Crawl around the French Quarter. Over the years, we've realized that if we didn't limit it to Bourbon Street, and only two hours, things would definitely get out of hand! 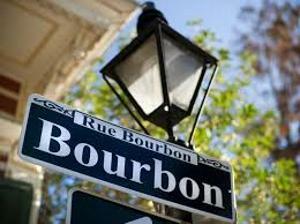 Join about 250 of your friends as we descend en massse on a carefully selected cross-section of bars on Bourbon Street. Dress the part...outrageous, ... or come as you are! Trp Rock Lip Synch Battle! Watch the Street Party being set up before your very eyes! NOPD blocks the street, and Bernard Productions sets up a stage and sound system, in anticipation of our fun day in the Quarter! Location of the stage is on the Bourbon Street side of the Bourbon Orleans Hotel, just outside the St. Joseph Room. 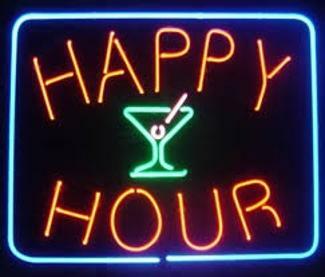 Big Burrito Radio Happy Hour! 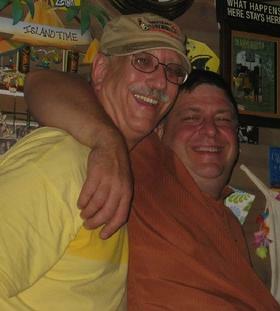 Marty Kuklinsky (aka “Mad Marty”) and Dan Mueller (aka “Captain Awesome”) host one of the Midwest’s favorite Trop-Rock music shows, called the Big Burrito Happy Hour. 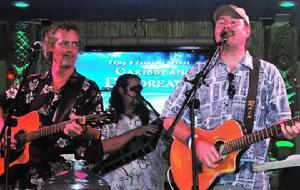 They will be broadcasting their show LIVE on Saturday morning from the balcony at the Tropical Isle. They will be interviewing artists appearing at Pardi-Gras, and we’ll probably even have a few live performances as well. You are welcome to join Marty and Dan on the balcony for a Bloody Mary or other libation, as the crew sets up the stage below for the Street Party that afternoon! This is when and where you check in, and pick up your t-shirts, badges, and event guides. This is also where you can take one last look at the carefully selected Live Auction items that we will be featuring at Saturday afternoon's Street Party. The St. Joseph Room is located inside the Bourbon Orleans Hotel, downstairs, on the Bourbon Street side of the hotel. This is the crown jewel of the Pardi-Gras experience...the Bourbon Street Party. We block the street from traffic on Saturday morning, and we set up a stage right in the middle of Bourbon Street. There's live music, and in the intermission, a Live Auction of very carefully selected items. We'll also probably hear from someone from the City of New Orleans (they LOVE photo-ops!) It is not uncommon for virtually every artist who is performing at the event to join us on stage at some point or another. This is just too much fun folks...no matter what the weather! 6:00pm-7:00pm / Break for Dinner! so you can partake of some great Louisiana cuisine! Join us for the "after party", as we invite all the artists who performed during the weekend so far (as well as Sunday's entertainers) to join us for a barn burner upstairs at the Tropical Isle! THIS is when the stories get made folks! The Master Gator is buying the drinks for the artists, so WHO KNOWS WHAT MIGHT HAPPEN. This should be a fun one folks! "Sunday Morning in New Orleans"
After you've checked out of your hotel (unless you're staying another night! ), and grabbed a bite to eat, sashay over to the Tropical Isle, where they will be opening the upstairs a little earlier just for us. You'll have to enter through the side entrance. Join your fellow Pardi-Gras revelers as we clear the cobwebs, and get ready for a fantastic last day of Pardi-Gras! Pardi-Gras asks everyone to please be aware of and support our sponsors. We couldn't present Pardi-Gras without them! 1. Tropical Isle #1 - Bourbon @ Toulouse St.
2. Tropical Isle #2 - Bourbon @ Orleans St.
4. Orleans Grapevine - 700 block of Orleans St.
Pardi-Gras features several "events within the event" during our five days in New Orleans. Some of these events have been going on as long as Pardi-Gras has been in existence. All are included in your Pardi-Gras registration fee. Your fee also entitles you to a very cool "signature" long-sleeve event shirt. These shirts are some of the most recognizable shirts in the Trop-Rock genre. A few of those events are listed below. Pardi-Gras conducts a minimal , but timely amount of fund-raising during our event. We ask that you please be aware of the ONE time all weekend that we ask for money! Saturday afternoon, during the street party, we have a live auction of a few very carefully selected items. 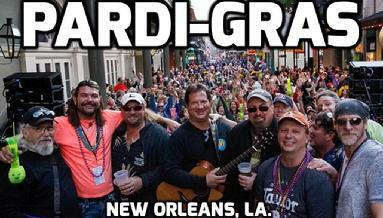 Over the past 15 years, Pardi-Gras has donated over $100,000 to our selected charities. - Everyone registered for Pardi Gras is welcome to participate. - Scorecards may be purchased at Registration on Thursday evening or Friday afternoon. - Pardi Gras is not responsible for lost or stolen scorecards. - If purchased Friday, the first and second playing card draws will occur at time of scorecard purchase. - Scorecards are $10 each. One player may purchase multiple scorecards. If one player is playing multiple scorecards, you must choose which scorecard you are playing BEFORE drawing a playing card. - Venues and times are printed on the scorecard. - At each drawing location the player will present the scorecard and draw a playing card. If they draw a card they have previously drawn, they will draw another card. The playing card will then be recorded on their scorecard and verified by the PG Krewe. 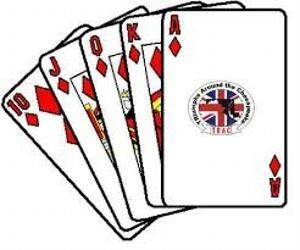 - At the final playing card draw, the scorecard will be collected by PG Krewe for tabulating. Players will know their final hand at that time. - PG Krewe will determine the three best hands and announce the winners during the break in the Street Party Saturday afternoon. Winners should claim their prizes immediately after the announcement. - Playing cards should be drawn at the designated venues and times. Please do not show up at the last venue and ask the PG Krewe to “catch up” on your draws. what are you doing down here? all the info is above! it's what they call the "dark web".